The National Highways Authority of India (NHAI) has awarded to L&T one of the five packages of Rs 7,500 crore Dwarka Expressway project in Haryana under the Bharatmala project, the government said today. The National Highways Authority of India (NHAI) has awarded to L&T one of the five packages of Rs 7,500 crore Dwarka Expressway project in Haryana under the Bharatmala project, the government said today. The package to build eight-lane expressway from Basai RoB to NH 8 – SPR intersection in Haryana will be executed at a cost of Rs 1,047 crore under EPC (engineering, construction and procurement) mode, Ministry of Road Transport and Highways said in a statement. “The NHAI has issued Letter of Award – LOA for Package-4 of Dwarka Expressway from Basai RoB to NH-8 – SPR intersection in Haryana on EPC under Bharatmala Pariyojna…This eight-lane Expressway (NH-248 BB) will be constructed on EPC Mode at a cost of Rs 1047.007 crore. The 8.76 km stretch of the road will be constructed by L&T,” the statement said. Development of this section of Dwarka Expressway will ensure seamless and safe movement of traffic between Delhi-Gurgaon and help in decongestion of the Delhi-Gurugaon Expressway, it said. The project comprises of 8-lane elevated structure for main carriageway of Dwarka Expressway, Trumpet Interchange for Manesar Road and Cloverleaf interchange with NH-8-SPR intersection. The completion period of the project is two years with maintenance period of four years. Under the project, a minor bridge will be widened, additional ROBs, five VUP (vehicle underpass), six Bus Bays with Bus Shelter will be erected and four Junction Improvements will be carried out, it said. “Dwarka Expressway has to be implemented in 5 Packages. 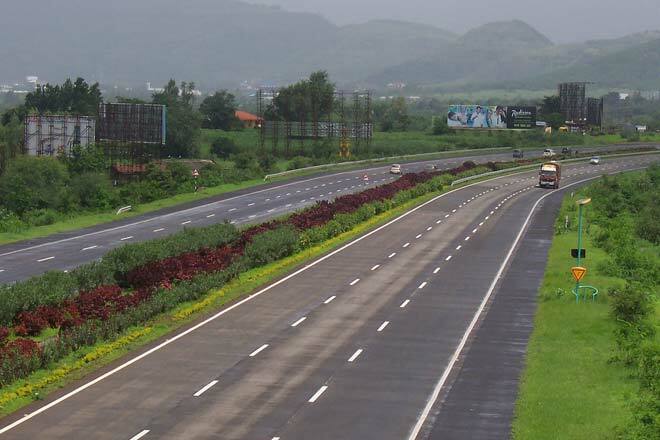 Source : The National Highways Authority of India (NHAI) has awarded to L&T one of the five packages of Rs 7,500 crore Dwarka Expressway project in Haryana under the Bharatmala project, the government said today.